Samuel lives a lonely life in a run-down manor, his only companion the strict housekeeper Ruth. His mother has been gone for months, supposedly tending to his late father’s business interests abroad. But Samuel starts to suspect that his mother is in fact dead, killed by Ruth. And so begins a cat-and-mouse game between the two. An excellent, suspenseful mystery that has been compared to the works of Daphne Du Maurier and Shirley Jackson. "A fiendishly efficient, gorgeously written, nasty little thrill ride of a psychological thriller. I couldn't put it down, and it's entirely possible that I'll never sleep again. A true tour-de-force of a debut novel." --Lyndsay Faye, author of The Gods of Gotham and Jane Steele For fans of Shirley Jackson, Sarah Waters and Daphne du Maurier, an electrifying debut about a boy left alone in his family's English estate with a housekeeper he suspects has murdered his mother Nine-year-old Samuel lives alone in a once-great estate in Surrey with the family's housekeeper, Ruth. His father is dead and his mother has been abroad for months, purportedly tending to her late husband's faltering business. She left in a hurry one night while Samuel was sleeping and did not say goodbye.Beyond her sporadic postcards, Samuel hears nothing from his mother. He misses her dearly and maps her journey in an atlas he finds in her study. Samuel's life is otherwise regulated by Ruth, who runs the house with an iron fist. Only she and Samuel know how brutally she enforces order.As rumors in town begin to swirl, Samuel wonders whether something more sinister is afoot. 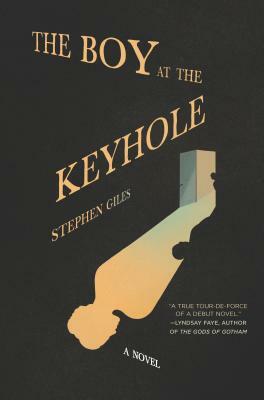 Perhaps his mother did not leave but was murdered--by Ruth.Artful, haunting and hurtling toward a psychological showdown, The Boy at the Keyhole is an incandescent debut about the precarious dance between truth and perception, and the shocking acts that occur behind closed doors.